According to Robert Scoble and the US FTC, Apple has just purchased Siri, a virtual assistant application. The purchase, rumored to be in the $200 million range, isn’t at all surprising. Apple has been cornering sections of the market for itself lately. It’s pretty plain to see here that Apple will likely patent the technology behind Siri, further building up the Apple firewall from competition. More details, and a video after the jump. 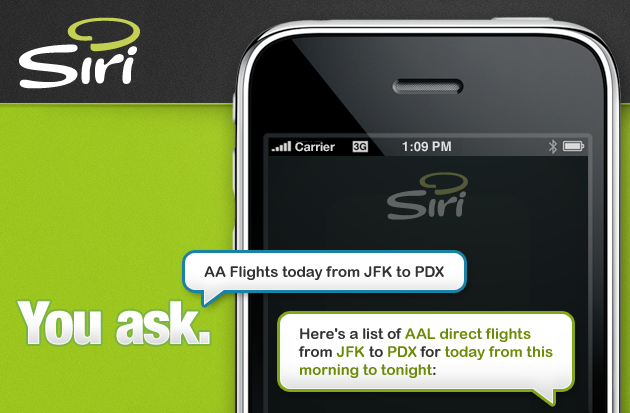 For those not familiar, Siri is an voice-guided application that can act as a personal assistant or concierge. The idea is fantastic, and is becoming especially useful as more areas of the US (and beyond) are starting to crack down on using mobile devices while driving. I’m going to go ahead and call this now: Look for Apple to integrate more features into Siri. I wouldn’t at all be surprised to see API-driven integration with the App Store or even iTunes for voice-command of Apple devices.